The Hottest Stars In Horror! Every Month We Will Post a New Picture. Let us know who you want to see. 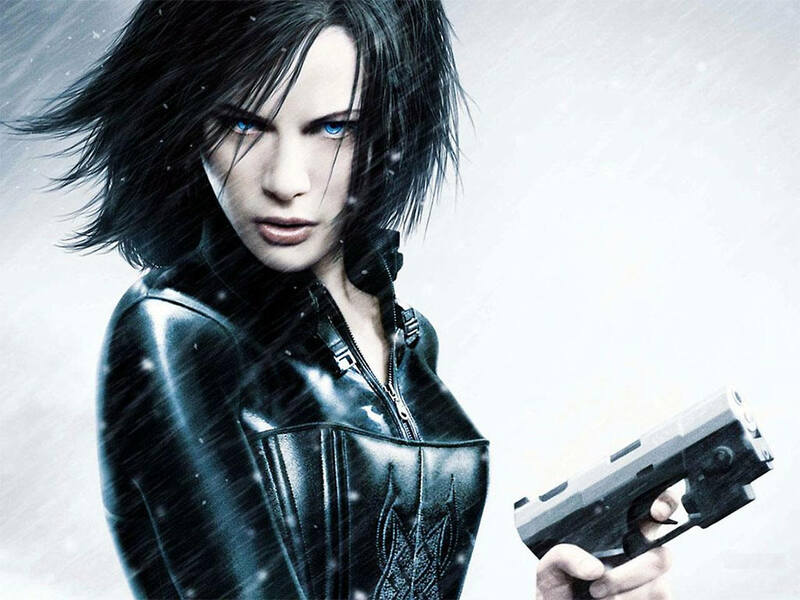 Kate Beckinsale appeared in 2003’s Underworld and has since starred in Van Helsing (2004), Underworld: Evolution (2006), Whiteout (2009), as well as Contraband, Underworld: Awakening, and Total Recall (all in 2012). Actress Jennifer Love Hewitt starred as Julie James in I Know What You Did Last Summer and I Still Know What You Did Last Summer in the late 1990’s. Jennifer Love Hewitt also starred as Melinda Gordon the Ghost Whisperer. The picture above is from her “Maxim Magazine” photo shoot. Actress/Model Ashley UWish Stewart who makes a cameo appearance in the new Damien Dante Horror Film “Jezebeth 2 Hour of the Gun” is our Horror Movie Hottie of the Month. Ashley was also the cover model for the new Slam Bang album “Everyday is a Party” and also their hot new single “Naked and Stoned”. Now Available on iTunes. Bree has studied in both California and Illinois with some of the best acting coaches in the business, including; Ms. Janet Alhanti, The Green Room, Actor’s Studio, Second City, The Looking Glass and The Piven Theatre group. Bree has been acting and modeling for 9 years. Her acting credits range from the Queen of Hearts in “Alice in Wonderland” to a young bride-to-be in the midst of racial conflict, among other things on her wedding day in “The Bell Tolls”. Bree Michaels is best known for her starring role in the the vampire horror film “Jezebeth” Written and Directed by Damien Dante and Distributed by R-Squared Films and SGL Entertainment. Born in Rockwood, Tennessee on May 16, 1986, she began exploring acting and dance at the age of five. After relocating to St. Petersburg, Florida, she began doing small modelling jobs while continuing her acting training throughout high school. A string of wins at the 1999 American Modeling and Talent Convention convinced her to launch her acting career, so she dropped out of high school and moved to Los Angeles when she was sixteen years-old. Fox made her screen debut as a bratty heiress in the Olsen Twins feature Holiday in the Sun (2001), where she was credited under her full name of Megan Denise Fox (the first and only time that happened). Her debut was followed by various minor roles in several films and a regular role in short-lived soap called Ocean Ave. She began to draw attention to herself playing the role of Sydney Shanowski on the ABC comedy Hope and Faith, but exploded into superstar status after her appearence in the 2007 Michael Bay film The Transformers. And then in 2009 Megan Fox went on to become a horror movie hottie in Jennifer’s Body. An active athlete, Monaco grew up on the East Coast, where she participated in soccer, swimming, track and softball, among other sports. After the last of five girls was born, her family decided to move from the bustling city of Philadelphia to the more peaceful environment of the Poconos. Monaco proudly states that she is a born competitor. In addition to athletics, she participated intensely in speech, debate and theater during high school. Monaco’s television debut came in 1997, when she landed a recurring role on Baywatch(1989). She has since segued into the feature film world with roles in Idle Hands(1999), Mumford(1999) and BASEketball(1998). Raised in an Italian Catholic home, Monaco is very close with her family, especially her great-grandmother. She enjoys volunteering for children’s charity events, as well as working with elders. She currently resides in West Hollywood, California.